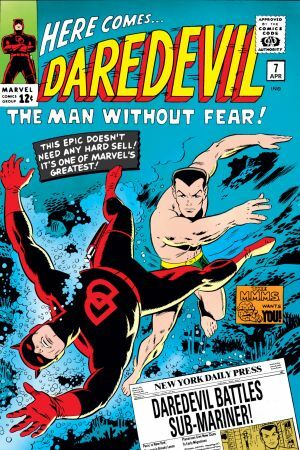 Daredevil is the Man Without Fear! Blinded as a youngster by radioactive chemicals, Matt Murdock soon found that his other senses had been heightened to extraordinary levels. As an adult, he took on the mantle of Daredevil- the protector of the gritty New York neighborhood Hell's Kitchen. Here is a list of some of his greatest moments! 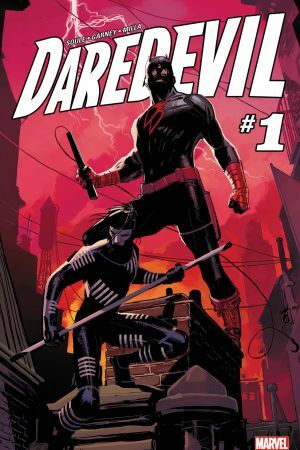 Daredevil is back in black and back on his home turf, as Matt Murdock begins a fresh life once again! He may have returned to New York City, but Matt's on a different side of the law now, with a job in the District Attorney's office. And he's finding his new career quite the challenge, as even his incredible skills aren't enough to indict the local crime lord known as Tenfingers. Could this be a job for Daredevil? Join Marvel's fearless hero as he begins his most awe-inspiring adventure yet in the sunny city of San Francisco! 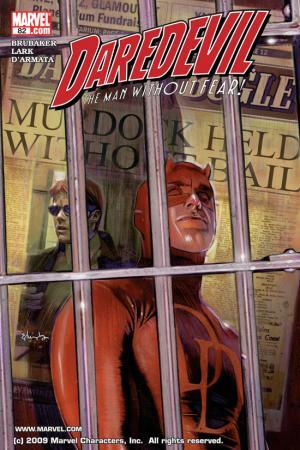 But big changes are in store for Matt Murdock as old haunts and familiar faces rise to give the devil his due. Brought to you by writer Mark Waid and artist Chris Samnee! 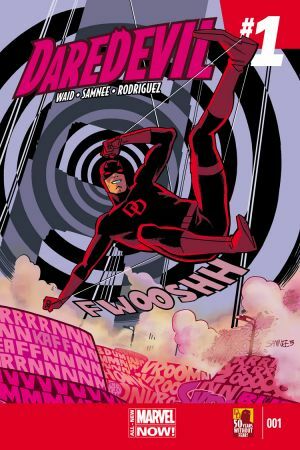 Mark Waid and Paolo Rivera bring DD back to his swashbuckling roots and simultaneously launch him into the future with the start of this new Daredevil volume. The legend begins in this issue! Here comes the Man Without Fear! 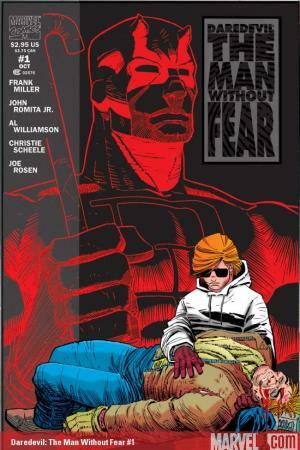 Go back to the beginning with the first issue in this acclaimed miniseries by Frank Miller and John Romita Jr. and discover how the young boy named Matt Murdock became the hero of Hell's Kitchen known as Daredevil. 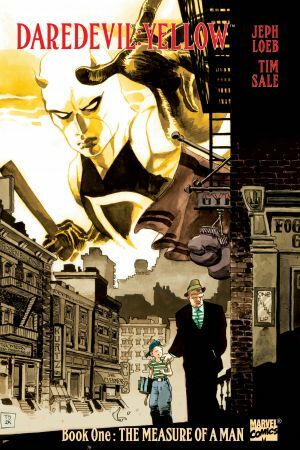 This story-from the acclaimed team of Jeph Loeb and Tim Sale-starts at the very beginning of Matt Murdock's career as Daredevil and his quest for justice following the death of his father. 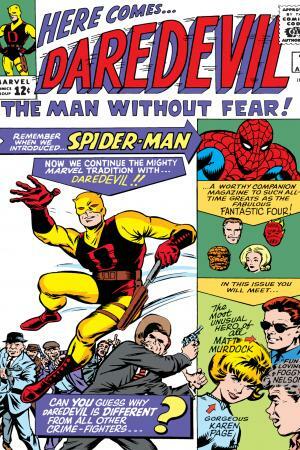 Daredevil ditches the yellow for his iconic red duds! Plus, ol' Hornhead dukes it out with the Sub-Mariner. Wilson Fisk-the man called The Kingpin-is one of Daredevil's greatest foes. But he didn't start out that way. 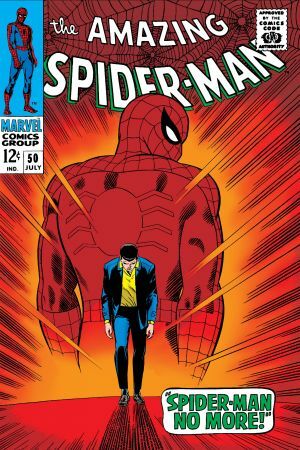 Spidey had to deal with the crimelord first in the pages of Amazing Spider-Man. 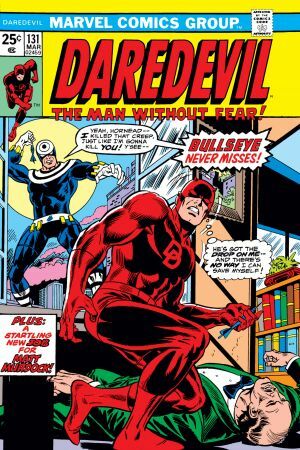 Daredevil's sensory mastery is only matched by the uncanny ability of one of his deadliest enemies: Bullseye never misses! Catch his first appearance here! She was DD's greatest love. 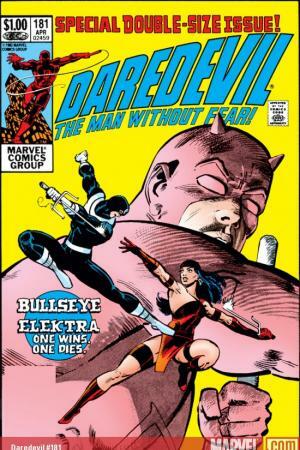 Now she is the ninja assassin known only as Elektra! One of the more complicated relationships in the history of Marvel Comics gets a little more complicated. One wins and one dies! (Hint: it's not Bullseye.) 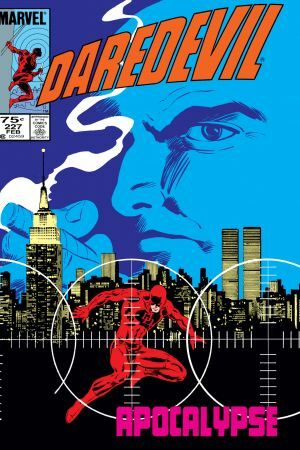 A seminal moment in the Daredevil mythology, the death of Matt Murdock's greatest love will change him and cement his hatred for Bullseye for years to come. 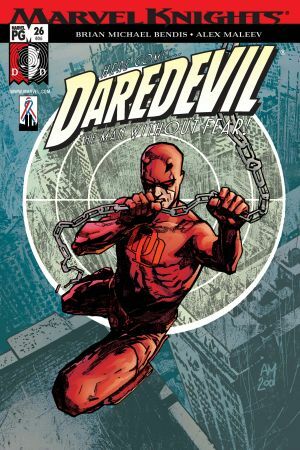 When the Kingpin learns of Daredevil's true identity, he sets out to destroy Matt Murdock's life. Arguably, Frank Miller and David Mazzucchelli's most enduring achievement from their tenure on the character. The first issue in the acclaimed run by Brian Michael Bendis and Alex Maleev. Kingpin is betrayed and a whole new class of criminals move in on his territory. 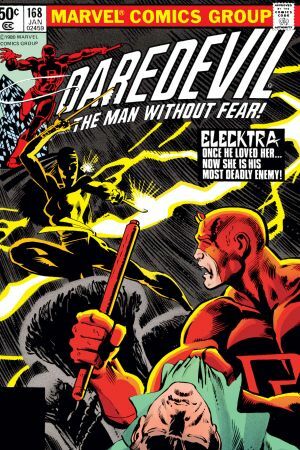 Whoever took on Daredevil after Bendis and Maleev finished up their run had big shoes to fill. And to everyone's relief Ed Brubaker and Michael Lark had no trouble filling them. 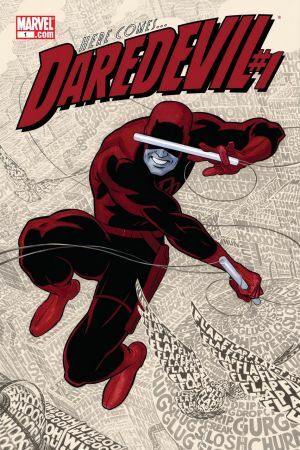 Matt Murdock is in jail at the start of this story, but how is Daredevil still on the streets beating up criminals?